The expansion of Irish whiskey production shows no sign of slowing as global demand for whiskey and the appetite for Irish spirit continues. Until fairly recently most Irish whiskey was produced at just a handful of distilleries however – as with so many other whisky producing countries – Ireland is seeing a rapid expansion in the number of new bona fide production facilities. This can only be a good thing for consumers, it can seem slightly misleading when multiple whiskey brands are produced at the same distillery. Are they really different whiskies or just expressions of one distillery packaged as separate brands? 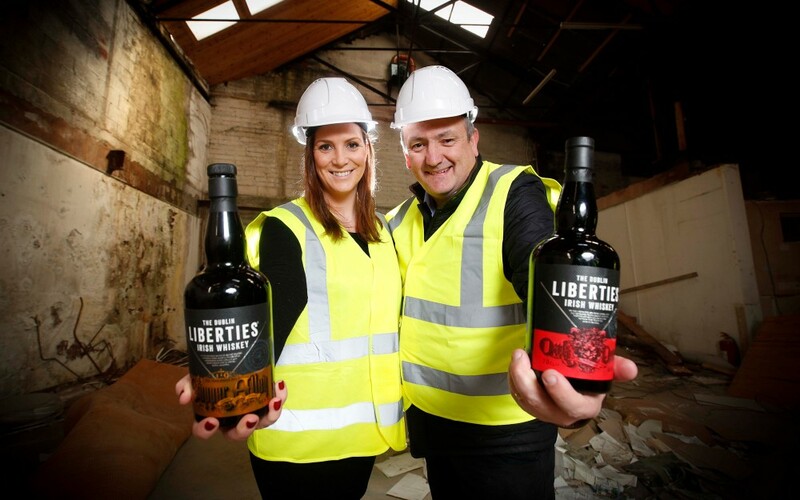 Good news then that construction work has started at The Dublin Liberties Distillery, a €15m project in the heart of the city. The site is just a stone's throw from Teeling Whiskey Distillery, which opened in 2015, and it follows Diageo's announcement earlier this year that they are to develop a new distillery at James's Gate in Dublin's City Centre. Located in the Liberties district of Dublin, the new Liberties Distillery facility will be housed in the historic Old Mill Street building - the building is 300 years old - and is due to be operational by 2018. Owned by the Quintessential Brands Group, the new distillery will become home for their Dubliner and Dublin Liberties brands, allowing them to produce their own spirit. Darryl McNally, General Manager and Master Distiller at The Dublin Liberties Distillery says, "We are building a world class distillery in the heart of Dublin with a visitor experience like no other. We have a very clear vision for the type of best in class liquids we want to produce and the brands we want to create."